You must be a member of the Jakarta Cook Smart Group to attend this activity. Would you like to join this group? 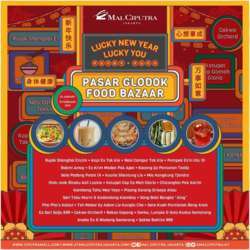 to celebrate Chinese new year..let,s come and join us to visit " Pasar Glodok Food Bazaar"..we eat and drink together there. All welcome.